School has started and Peace Week is approaching. Let’s make it the best ever by volunteering to help and encouraging our friends and co-workers o attend at least one of the many activities planned during the week of September 16 to 23 in Arkansas. Arkansas WAND is sponsoring a week-long exhibit of the Drones Quilt Project in Pulaski Heights Methodist Church vestibule with a reception on Monday, September 17 at 5:30 p.m.
Bob Estes, Chair, will give us an overview of the exciting events (Yes, Peace can be exciting!) culminating in a full day Saturday that includes a Youth Summit for students from middle school through college in the gym at Central High School. 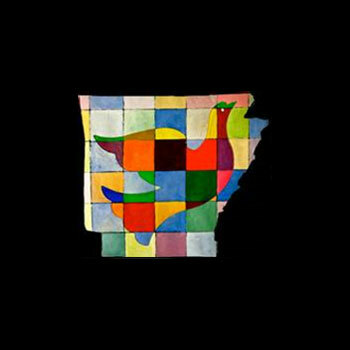 Come with your ideas about how to involve our whole community in this Celebration of Making Peace the Natural State in Arkansas (and the world).